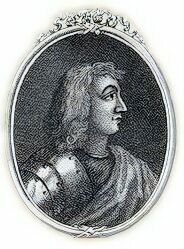 Constantine I, or Caustantin mac Cinaeda, the eldest son of Kenneth MacAlpin, succeeded his uncle Donald I . He was nicknamed An Finn-Shoichleach, "The Wine-Bountiful". Early Scottish Kings were appointed by the Celtic system of tanistry, a tanist or tanaise (literally the expected one) the successor to the King, was not necessarily his eldest son, but was designated from among a group of his kindred, chosen during the life of the reigning King. This pattern of succession can be previously discerned amongst the ancient Kings of Dalraida. The establishment of this custom had begun in the reign of Constantine's predecessor, Donald and is spoken of in the Pictish chronicle. See Genealogy. Tanistry inevitably caused conflict over the succession to the throne and sometimes murder. Ten of the early Scottish Kings were to be murdered in the dynastic disputes that inevitably followed. King Constantine's reign was marked, like those of his immediate predecessors, by conflict with the Vikings. In 870 they returned to Scotland in force under the leadership of Olaf the White and Ivar the Boneless, the fearsome Danish warlord and King of Dublin. Olaf and Ivar's army laid siege to Dunbarton, the capital of the Britons of Strathclyde. They cut off the water supply and having 'Wasted the people who were in it by hunger and thirst', they forced the Britons to surrender. Artgal, King of Strathclyde, managed to escape with his life. Many Britons and Picts were taken as slaves to Dublin. The Vikings then exacted tribute from Constantine. They continually laid Scotland waste, while the Danish leader Halfdan ravaged Northumbria and Galloway. In the year 875, the Annals of Ulster record the presence of a Viking army in Scotland. A battle, which was fought near Dollar, resulted in a heavy defeat for the Picts, the Annals of Ulster state that "a great slaughter of the Picts resulted". King Constantine had his brother-in-law, Artgal, king of Strathclyde, assassinated, whereby Artgal's regions in the south became part of Pictavia. 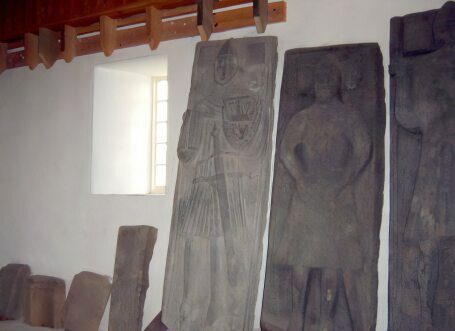 Constantine met his end in the conflict with the Vikings, when he was beheaded in combat against them at Inverdorat, the Black Cove, Angus, in 877. 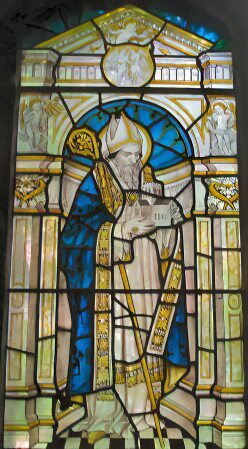 He was buried near to his father at Iona Abbey and succeeded by his younger brother, Aodh. Iona Abbey was founded by St. Columba in 563, originally of wood, wattle and daub, which was later replaced by a stone building. Iona became the centre of the Scottish church which Columba established. 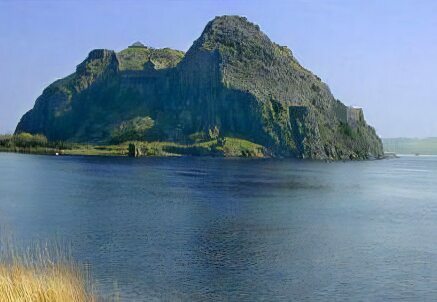 The Abbey was to become the mausoleum of the early Celtic Kings of Scotland who wished to be buried near to St. Columba. Their burial ground, known as Reilig Odhrain and dedicated to St. Oran, lies to the south-west of the priory at Iona. An inventory of 1549 recorded 48 Scottish, 8 Norwegian and 4 Irish kings buried there. The inscriptions are said to have worn away by the end of the seventeenth century.